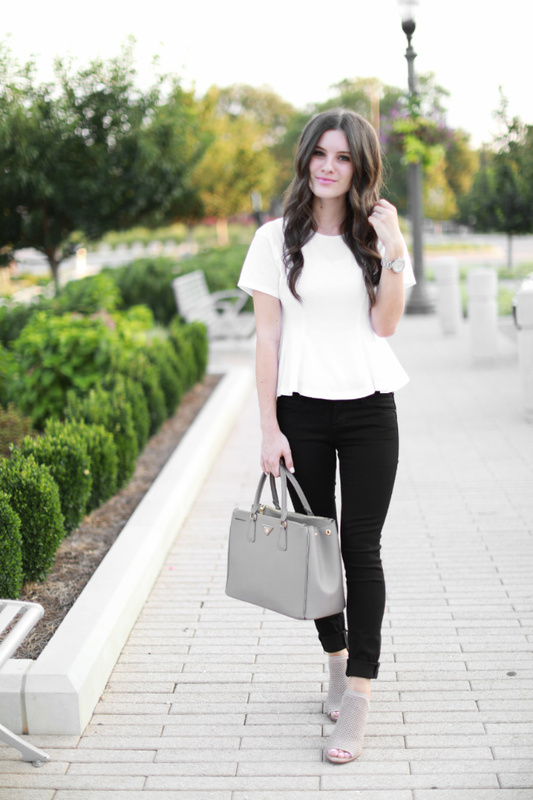 This peplum tee shirt is no exception and when I saw it, I knew it would look so cute under a jacket/cardigan, with jeans, and even shorts or skirts. 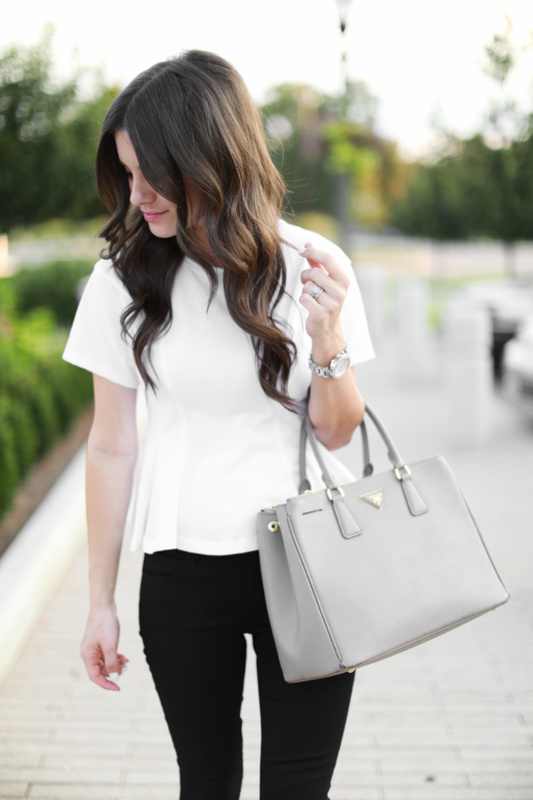 The peplum detail dresses up the plain tee shirt look without looking too overdone. 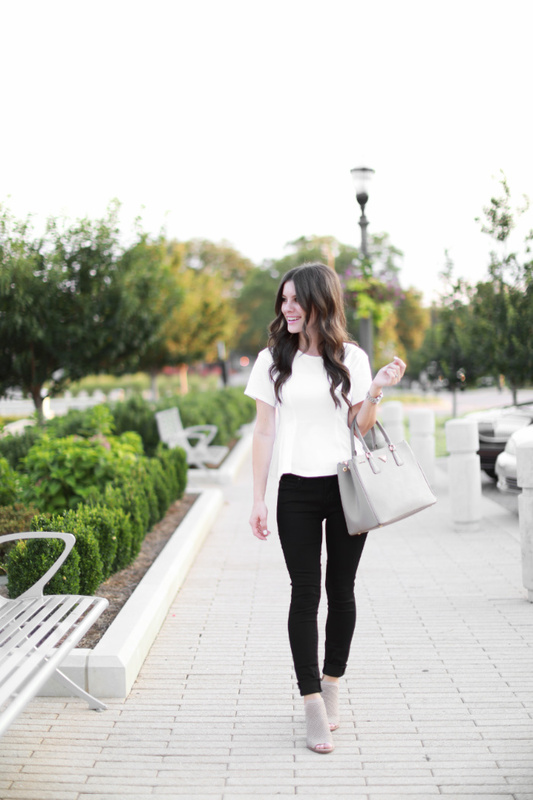 I wore this outfit to my sister's birthday dinner so I decided to dress it up a little with these cut-out booties. They have been my favorite lately (as you all know with how many times I mention them lol!) But really!! 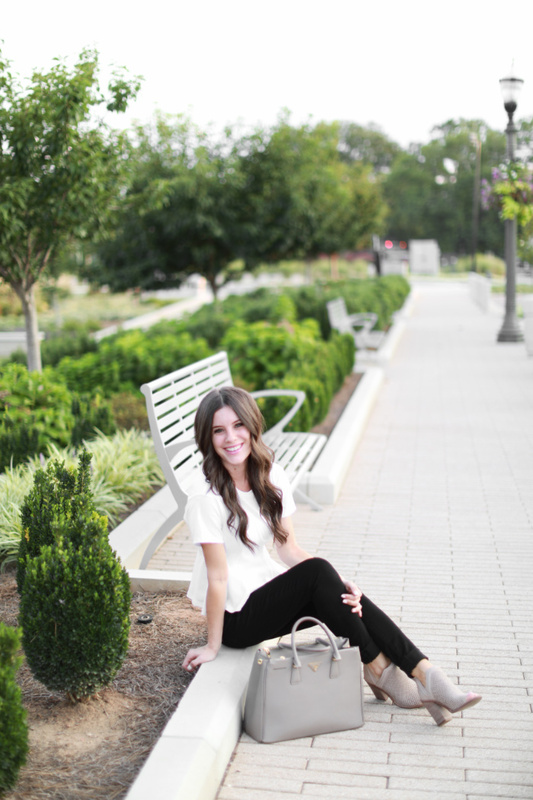 Cute, comfy, and versatile! Can't beat that! Also, I have been loving raw hems lately, so I'm going to chop the bottom of these off. I feel like raw hems make your legs look longer and more put together than folding (except certain jeans.... I love folding the bottoms when they have a good contrast in color). Anyone else chop off their hems? 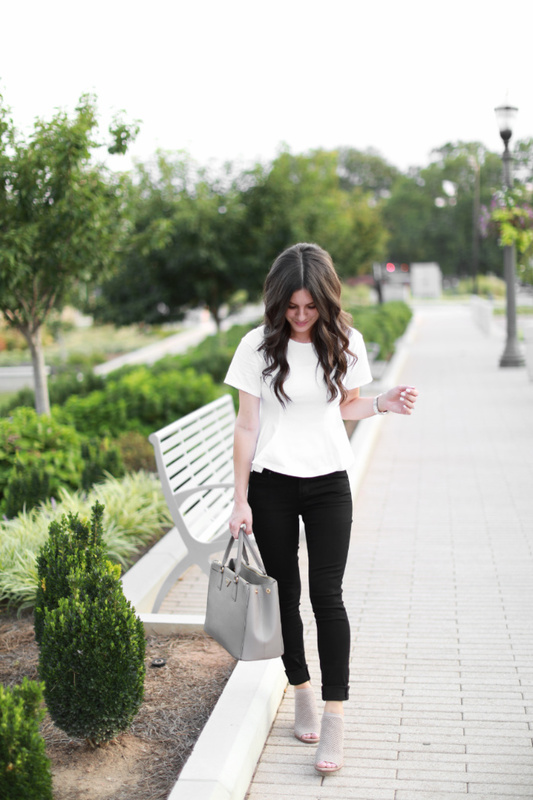 These black pants are perfect, by the way, if you're looking for a solid black stretchy pair. I bought the white version a few weeks ago and loved them so I got the black pair too. Hope you all are having a great Monday! Thankful for another week, but have so much on my to-do list I'm not really sure where to start lol! Anyone else feel that way? If I can cross off a few things though, I'll call it a productive day :) Thanks for stopping by! See you again Wednesday! I love this outfit! 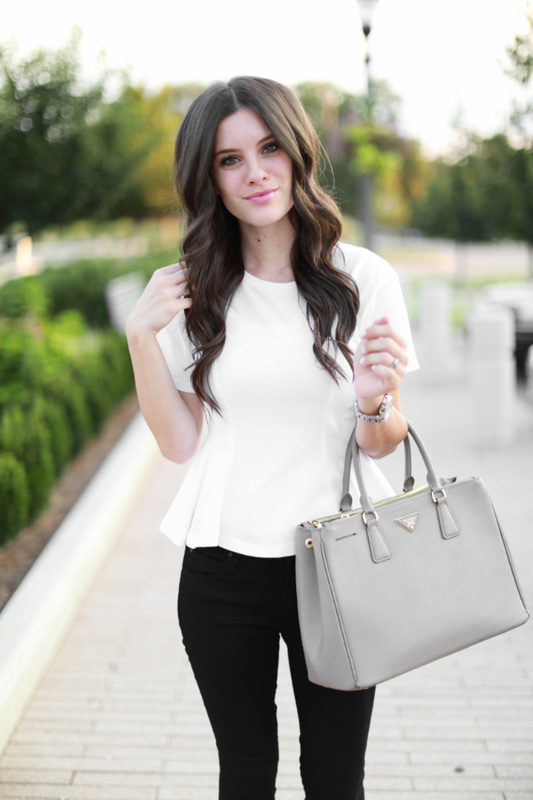 I'm always wearing black pants and a white tee and this is such a great dressy version of my go to. Thanks for sharing.